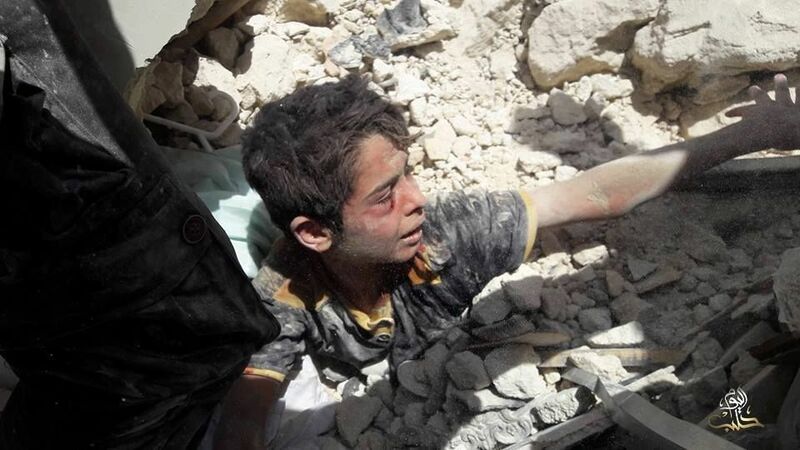 The civil war in Syria is just appalling: the chaos and suffering; it’s hell on earth. 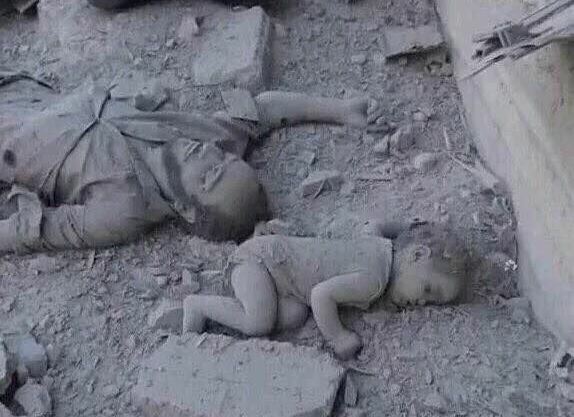 Hundreds of thousand have have been killed over the past seven years, many of them women and children. 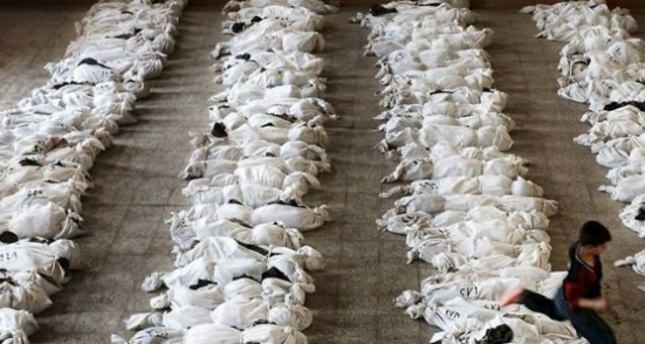 It is now alleged that ‘Animal‘ Bashar al-Assad is (once again) using chemical weapons to crush various rebel factions in order to restore the social order, and the UK Government has decided that there is “a need for action“. We are told that it is “highly likely” the Assad regime was responsible for the chemical attack, and that this cannot “go unchallenged”. There was no need for action as hundreds of children were lying beneath mounds of rubble, their little limbs slowly being crushed as they suffocated in cement dust. There was no need for action as hundreds of them lay shrouded in makeshift morgues, their white flesh putrefying in the desert heat. There was no need for action as the pictures streamed in year after year, of legless toddlers and lifeless babies being carried by howling parents. But a picture of a handful of children foaming at the mouth and nose demands action. This is not a post about the rightness or wrongness of Western military intervention in Syria: we simply don’t know all the facts. Everyone will have an opinion, and each opinion is valid. But the intelligence is privileged: we have no more to go on than conjecture and a YouGov poll. 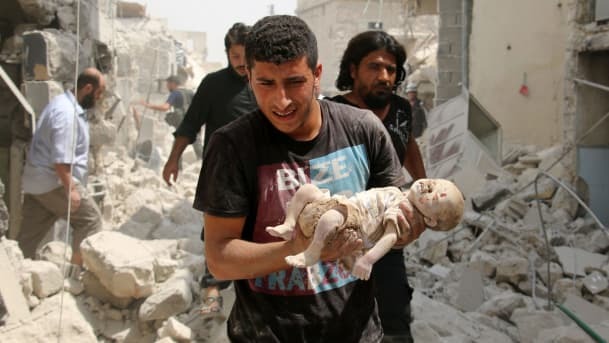 The question here concerns the deaths of women and children – especially the children – who have been sacrificed for seven long years while the West earnestly tweeted its sincere concern. These children are limbless or lifeless, with gashes in their flesh and holes in their heads. Thousands upon thousands of them will never breathe again, and Her Majesty’s Government did nothing. 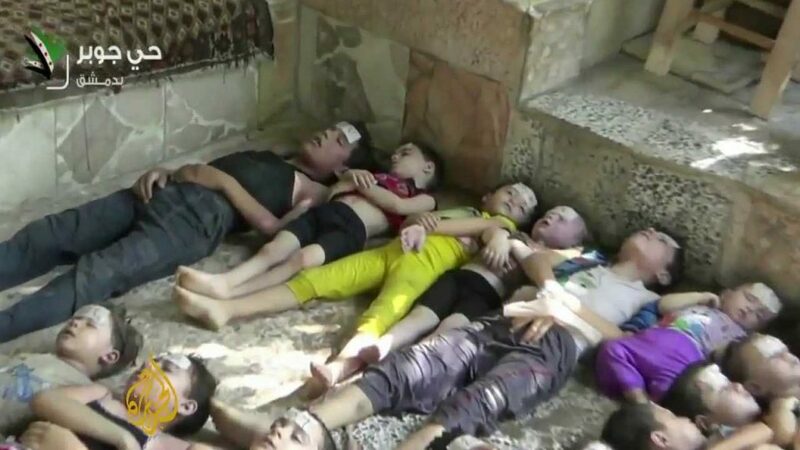 But now a handful of children have reportedly been gassed by sarin and/or chlorine, and this cannot “go unchallenged”. 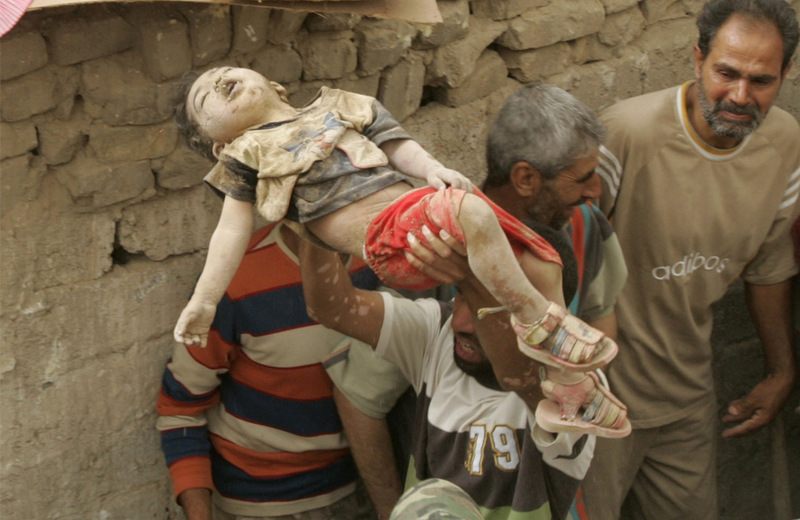 The killing of children transgresses a fundamental precept of the Just War tradition, for they are the true innocents. 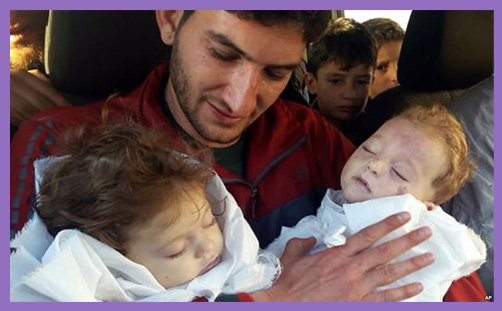 Harming them is inviolably contrary to the will of God, whether by barrel-bomb or chlorine gas. Death by shards of molten shrapnel is not more virtuous than burning lungs or choking on phlegm. Weapons of mass destruction lay bear the deadly reality of the evil we face: when we have it within our power to kill whole populations indiscriminately, it becomes all the more urgent to promote peace and foster reconciliation. But you can’t defend Syrian children by rolling out community coffee mornings. When we are faced with the mass slaughter of innocents, there is “a need for action”; a feeling that something must be done because it cannot “go unchallenged”. Except that we have detached and delayed for too long: we have been indecisive and irresponsible, and by doing nothing the evil has multiplied and the darkness grown darker. Should we now meet violence with violence? What is the command of God here? What is His mind? What is the moral action? To bomb the enemy? If war is ventured in obedience to God, is it not a pursuit of faith and righteousness? Is it righteous to fight when a greater evil might ensue? Attacking Assad now might make us feel a bit better; a little virtue bombing would, at least, be doing something. But how exactly will airstrikes help? What is the strategy? Who will benefit? And what or who will be unleashed? Is the world any better for the toppling of Saddam in Iraq, Mubarak in Egypt or Gaddafi in Libya? One man’s Islamism is anothers Islamic freedom. Religiously-illiterate politicians and secular-minded journalists rarely know their al-Qaeda from their al-Nusra Front. They don’t grasp why people support Fatah al-Islam against Jund al-Sham, or the Syria Free Army against the Abdullah Azzam Brigade. And they know next to nothing about Jund al-Aqsa and the Syrian Martyrs’ Brigade; or the Idlib Martyrs’ Brigade, Ajnad al-Sham Islamic Union, Ahfad al-Rasul Brigade, Army of Mujahedeen or Ghuraba al-Sham. They might have a vague awareness of Hizb ut-Tahrir and the Muslim Brotherhood, but no assessment at all of whether their members are worse animals than Assad. 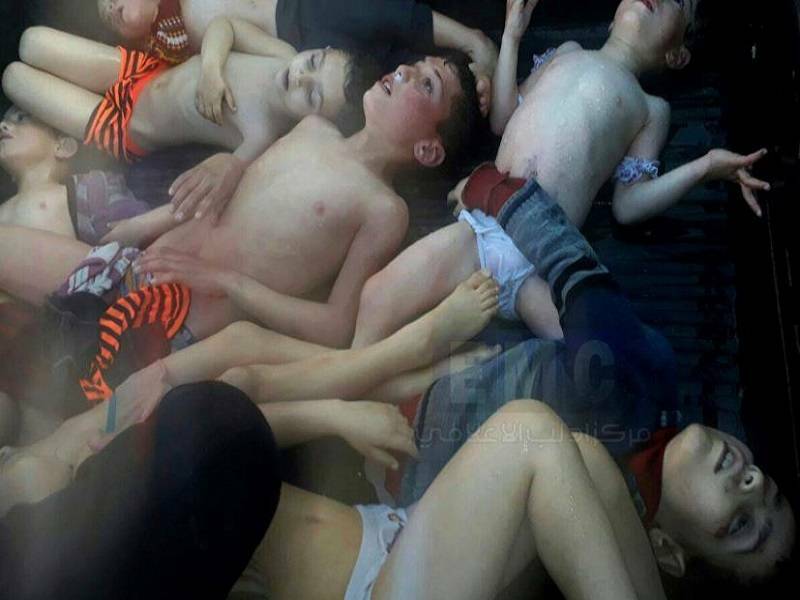 All they see are children foaming at the mouth, and so Assad is an animal, and something must be done. Well, children were being blown to smithereens seven years ago, when Assad was that same animal. Having been fed and fattened by the West, he’s a bit more dangerous now than he was then. When you kill a bear, don’t be surprised if you’re suddenly plagued by troops of foxes.